B A 0 0 5? I started writing this on 9 April the anniversary of our departure on the trip to Japan last year which has been described in this blog. However life, work and extraneous factors intervened. It's now July 3 and we're in Boston, MA about which more a little later. 9 April 2013 was indeed the day we flew from Heathrow for our eventful, amazing and never-to-be-forgotten trip to Japan. How we wish we were going again but the exigencies of budget and work will keep us here this year. My long absence from the blog has been due to a number of circumstances including limited social life and lots of writing for others rather than me or you. However with spring in the air at last after the direst start to any year – ultra low return from our solar panels prove how grey it has been – it feels like time to take up my pen again. And then I got another urgent job for which I had to complete the first part of this week. The year has been so strange we’ve hardly been to any Watford matches relying instead on our friend Fran’s excellent blogs to keep us up to date with our team’s progress. No playoff excitement this year but some promising developments. We did manage to go to our away game in Bournemouth back in January when we were excited by the prospect of the Japanese exhibits in the Russell Cotes Art Gallery and Museum. It’s a lovely eclectic collection assembled by one of the last great entrepreneur-travellers who gathered object that took his and his wife’s fancy from wherever the went – mostly in the Far East. The Japanese room had hundreds of objects but contained behind a perspex corridor along which you could inch your way and peer form side to side. Not ideal but with some glimpses of very interesting artefacts and scrolls. 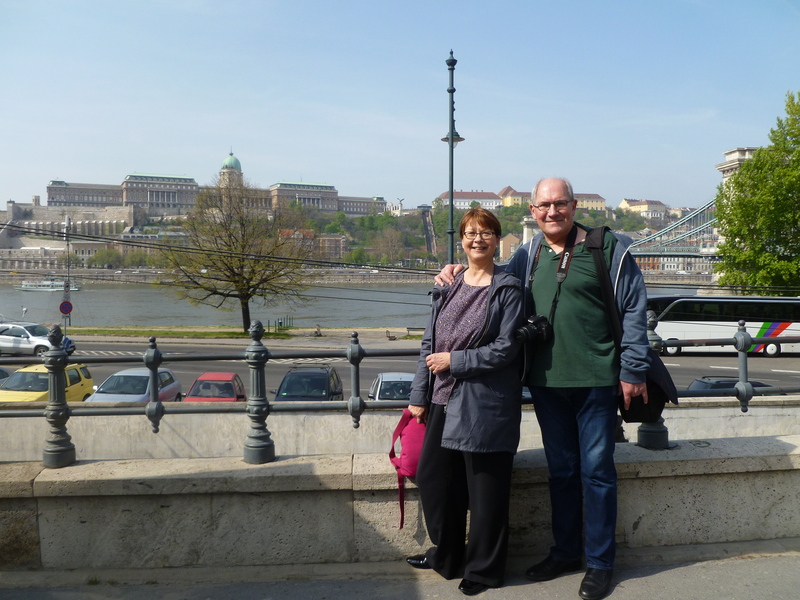 Budapest proved to be a delightful place to spend a few days. We made a concert with the Hilliard ensemble still in good voice all those years after their chart appearance with Jan Garbarek’s saxophone accompaniment in the incredible Vigado Concert Hall which re-opened two days before we arrived. 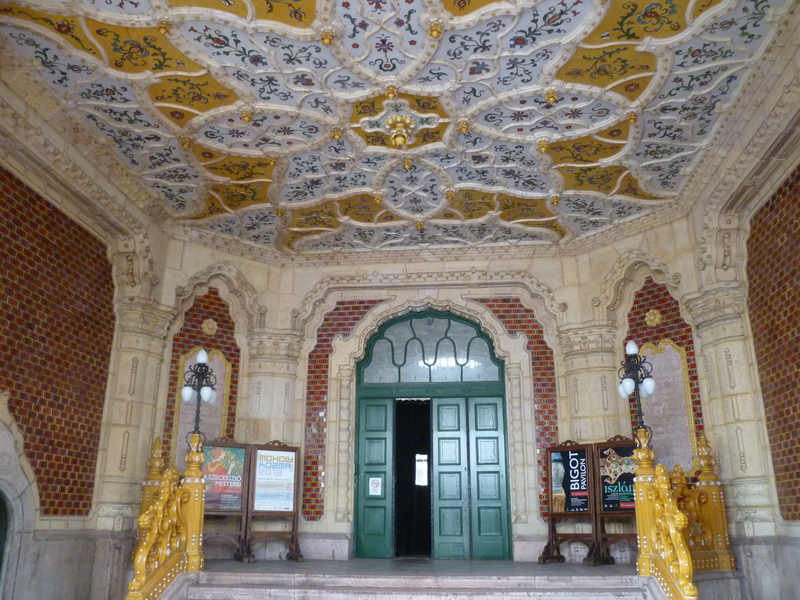 It’s all gilt and marble and pillars and a total contrast to the Erkel theatre where we caught an excellent ballet programme the next night. Built as the People’s Opera during the communist era its clean lines and lack of adornment made it a very pleasant place to watch great performances of three Jiri Kylian works. 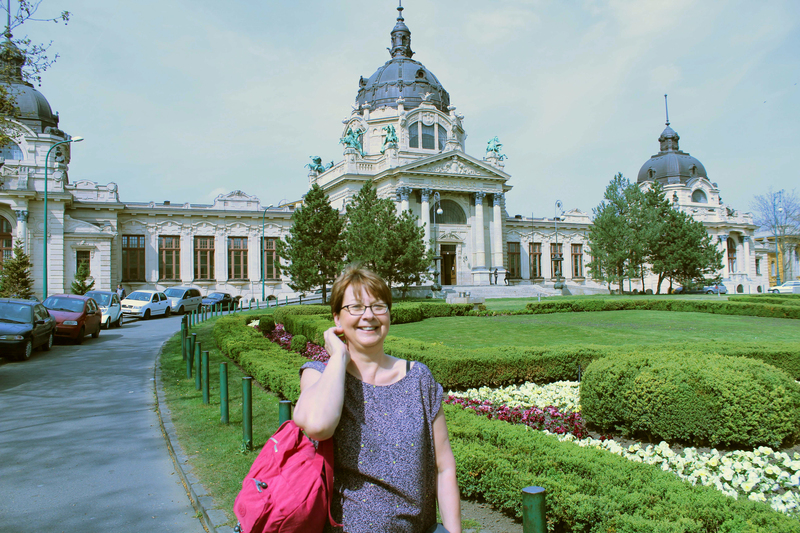 The highspot was a visit to the Szechenyi Baths a massive complex of thermal baths where we sat in a grand open air pool with water temperatures of 35 degrees and the air at 24 – fabulous. Architectural and culinary treasures abound and it’s definitely on the list for a return visit. 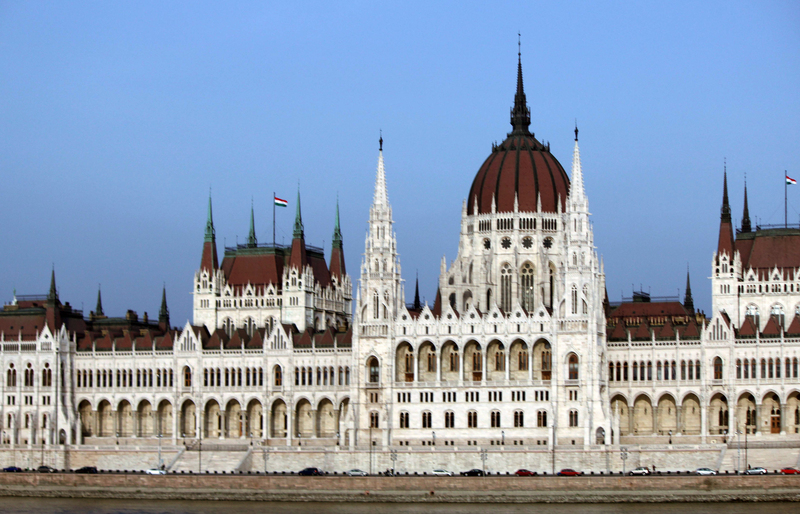 Any of you who watch Drama on ITV sponsored by Viking River Cruises have seen the spotlit Chain Bridge, Buda Castle and Parliament Building modelled on the HP in London but with even more filigree. We’ve been to more discussions and book launches at the Japan Foundation, entered a competition to win flights to Japan at the Japan Centre and discovered the joys – shared by grandchildren – of curry flavoured rice crackers. 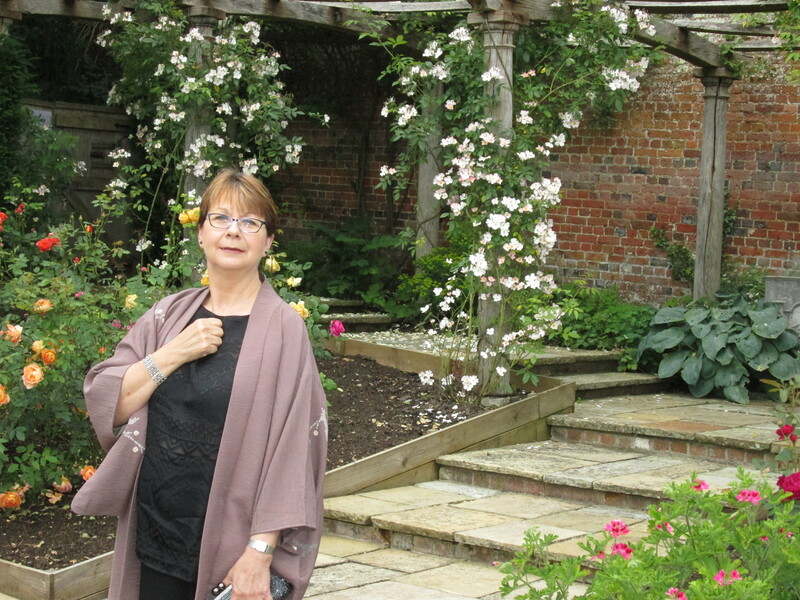 I’d heard of an opera in a country house in Oxfordshire some years ago but when a friend of ours Susanna told us she was its musical director we just had to go. 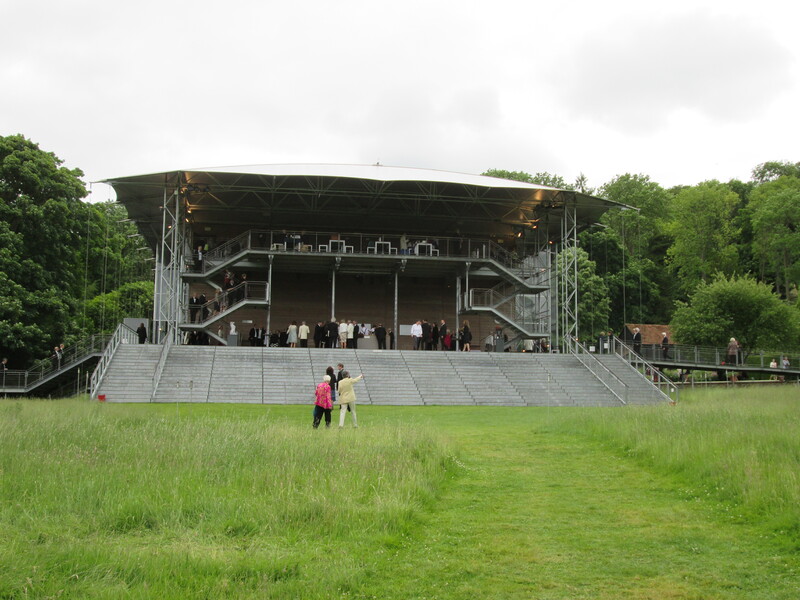 Garsington Opera is very much Glyndebourne for the northern home counties but more bohemian in approach and audience. It’s now based on the Getty family’s Wormsley Estate just off the M40 past High Wycombe. 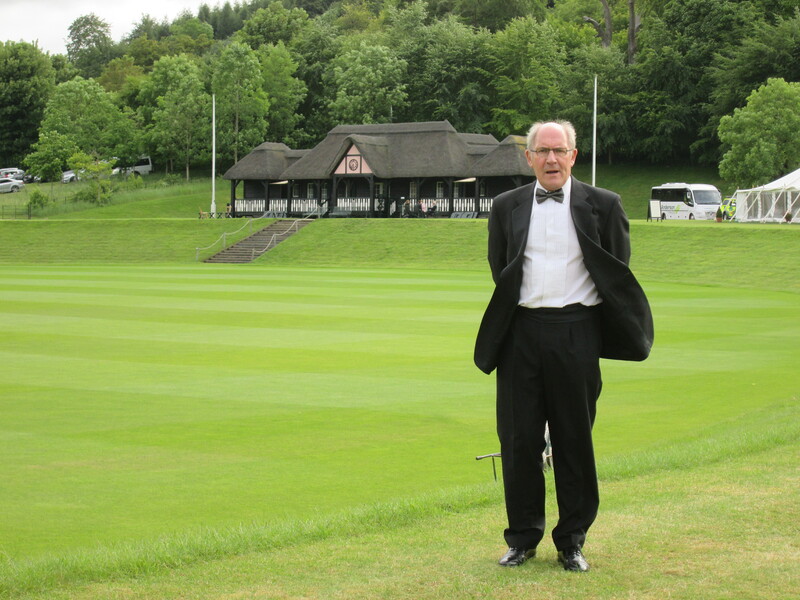 The estate is also home to a fabulous cricket oval on which England women beat Australia last year in the first match of the Ashes. 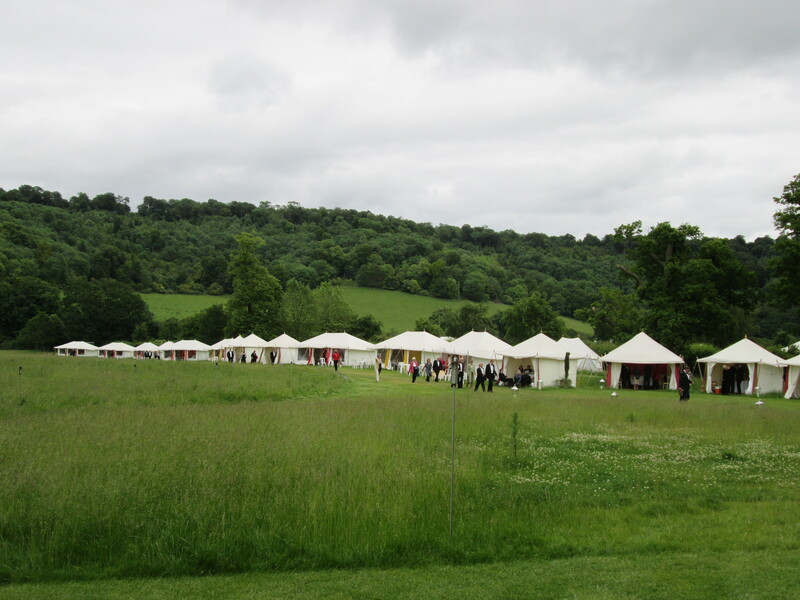 The extensive grounds are lined with picnic spots and restaurant marquees bringing a medieval feel to the whole thing. We were blessed with a fine day although it did get a bit breezy so we were glad we’d opted for in-marquee dining at the interval.The opera takes place in a glass pavilion which makes for a unique viewing experience in that performances start in broad daylight and then it gradually gets darker as the evening progresses. We saw Fidelio and in a great piece of theatre the released prisoners in Act 1 actually walk straight out of the auditorium and lounge about in the garden outside. Susanna was able to join us for dinner after warming up the chorus at the start of the interval so we had a great opportunity to catch up with her. I’ve been doing quite a bit of work for a Dutch publishing agency so took a day trip to Utrecht to meet them and an end-client. I flew from Southend airport which I scarcely knew existed but which was obviously very popular with a certain set. My thinking that there would be nobody there and I’d whizz through security after the hour’s drive from home was abruptly punctured by the sight of a bride and a retinue of bridesmaids; eight men in tiger onesies and a gaggle of guys with cork-trimmed hats. Then a look at the departure board for the three morning flights – Amsterdam, Krakow and Mallorca – and I knew I was in the stag and hen departure capital of Essex. The flight was quick and the train connection from Schipol to Utrecht couldn’t have been easier. Clean, smooth and on time, I thought I was back in Japan. I had a few moments to stroll with my agency contact through the streets of Utrecht which is a cobbled, canal-threaded city with a vibrant street life. Tekst 2000 enjoy canalside offices in a vaulted cellar with a long hot desk for their colleagues and people like me. We went off to visit the client in Culemborg via a chain ferry so it was a day of just about every mode of transport. 20 years ago I was derided by newly made US friends for flying back to the UK on July 4 after my preliminary recce visit for what was to become Direct English. “Don’t you know we have the best fireworks show in the world on July 4?” Oops. So deciding to celebrate the Fourth of July properly this year we arrived in Boston as planned only to find that the firework display has been moved to July 3 to avoid being washed out by Hurricane Arthur. So history is rewritten and the War of Independence ended a day early – at least this year in Boston. More about the trip to follow.